Need to add new functionality to your WordPress website, such as a form or a free Google font? Sounds like you need a good plugin. Plugins are an important component of a WordPress site. Plugins extend and expand the functionality of your site. There are over 40,000 available on WordPress.org. 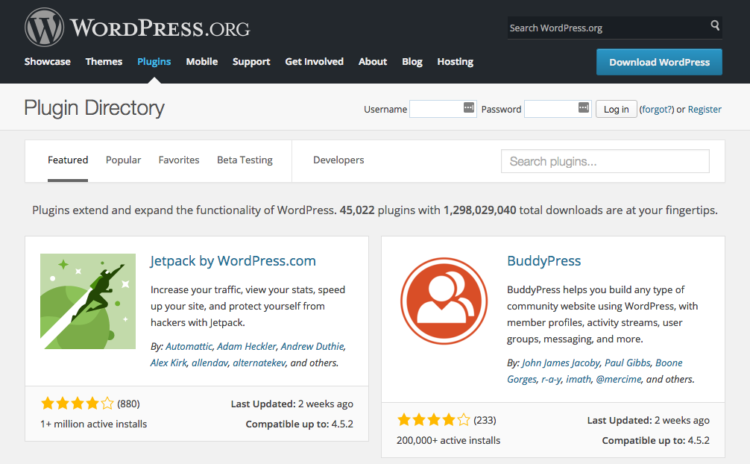 In fact, plugins are one of the biggest reasons to use WordPress! There are plugins that can do just about anything you might want to do with your website. Some plugins are primarily for administrative use, such as backing up your WordPress site. Others change how your site behaves for visitors. You need to be careful what plugins you add to your site, though, as many are not performance optimized and can slow your site down. Performance is especially an issue for visitors on a cellular network or slow connection. Plugins are created by independent developers. The options available through WordPress.org are reviewed when submitted, so they abide by the best coding practices and guidelines of the WordPress repository. Select them carefully and plugins will serve you well. Like WordPress themes, there are free plugins and premium plugins. There are many good free plugins, but you do need to be careful about selecting them. With free plugins, you may not get any support to help you with them. With premium plugins from a reputable vendor, you are generally going to get more features, ongoing development, and support. Because WordPress is built on a database, it has to generate each page for every visitor. This requires a database request to retrieve the page information. Caching will hold the page contents in memory which is much faster and will greatly speed up the performance of your website. Note that some WordPress hosting services, such as DreamPress, include caching support for you. In those cases, you do not need to install caching plugins. There are some great plugins to help keep your website secure. However, if you’re a DreamHost customer, we’ve also got you covered on this front with a built-in firewall —no security plugins needed. You are going to want to backup your website on a regular basis. There are some good plugins that can enable this. Again, some WordPress hosting services will provide a good backup solution as part of the service. If you want people to be able to contact you, a good plugin, such as WPForms, will simplify creating a contact form. With DreamPress, your default WordPress installation includes some plugins from Automattic, the primary software developer behind WordPress.com, such as Akismet and Jetpack. Akismet is an anti-spam service that monitors the comments on your posts and pages. Jetpack makes backups and security for your site easier. To be more easily found on the web, a good SEO plugin will help optimize your site for search engine optimization. Font plugins will make it easy to use free Google fonts on your website, and that’s important because typography can make or break your site’s conversions. There are many others you will want to consider. You can find reviews of many of available WordPress plugins at WordPress.org. Reviews can be very helpful to determine which plugins to use. It is pretty easy to view and manage the plugins you have installed and to add new ones. To view your installed plugins, hover over the Plugins navigation link in your WordPress Dashboard and click Installed Plugins. This takes you to the main Plugins page. You will notice that there are a number of pre-installed plugins that come with WordPress. Some of these are from Automattic. Others may be from the hosting company that you are hosting your WordPress application with. Just because a plugin is pre-installed does not mean you have to use it. Installed plugins are not used until they are activated. Active plugins are highlighted. To activate a plugin, simply click the Activate link. To deactivate one, click the Deactivate link. The main Plugins page shows a table of each plugin that has been installed on your WordPress installation. A row is included in the Plugins table for each installed plugin. The plugin listing gives the name of the plugin and a description of the plugin’s features. Activate — Turn on the plugin to be used by your website. Edit — An advanced programmer feature to fine tune the plugin. Delete — To delete the plugin files off of your server when you determine you do not need the plugin. Publisher Link — To learn more about the plugin publisher. To install a new plugin, click the Add New button at the top of the Plugins page. If you know the name of the plugin you want to use, enter it in the search form and hit enter. If you are just browsing for a new plugin to use, there are a few things to keep in mind. First, always check out the user rating and the number of active installs. This will be a good indicator of how good the plugin is. Second, make sure that the plugin is compatible with your version of WordPress. You will see a check mark and the words “Compatible with your version of WordPress” when you are searching for a plugin. Always upgrade your plugins when new versions are available. Good plugins are enhanced and updated on a regular basis. You want to make sure you are using the latest plugins to get the full benefit from them, as well as any security patches. WordPress does a good job keeping track of new versions of your plugins. Sometimes when you log into the dashboard, you will see the Updates link under the dashboard home page with a number next to it. This indicates that you have plugins (or themes) that need to be updated. You can update plugins on either the Updates page or the Plugins page. The former makes it easy to update all plugins at once, while the Plugins page enables updating each plugin individually. Good luck with WordPress plugins! They are — no joke — one of the coolest things about WordPress. 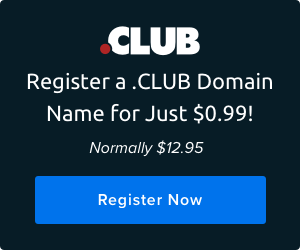 Ready to build your WordPress site? DreamPress is fully managed so you can focus on the content while we worry about the rest. I am not using any security plugin on my WordPress site as of now but going to try WordFence today. I have heard it is a good plugin for WordPress Security. Do you have any recommendations? WordFence works great. It is probably one of the better security plugins. There are a few others that are similar, but you won’t go wrong with WordFence.